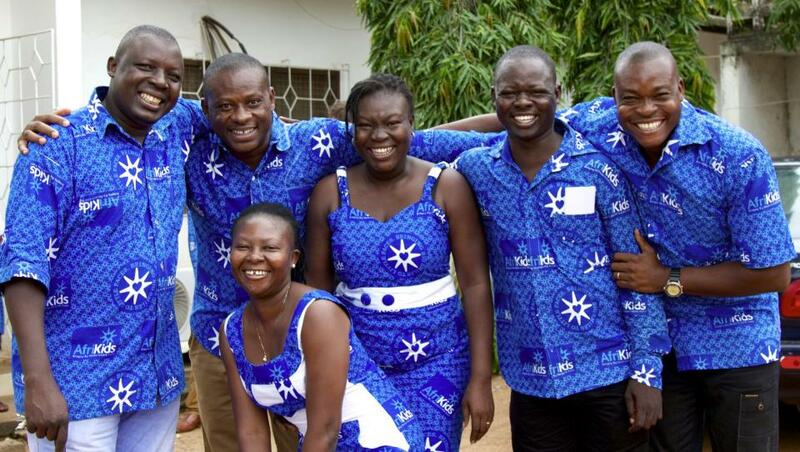 Our team of local staff in Ghana design and run all of our life-changing programmes from start to finish. Qualified, experienced professionals, they have a deep personal commitment to improving life for children in their communities. Being known and trusted by the communities they work in is what makes them so effective, especially with some of our most complex work changing traditional beliefs. Fundraising and donor due diligence is led from the UK, but always with the aim of supporting local people delivering the right solutions in their own communities. We will not trivialise the injustice of poverty or compromise the dignity of anyone we work with through pity advertising or by using inappropriate images or language when discussing sensitive issues. We hope sharing the positive stories of how our work is making a difference will inspire people to help us do more. We work together with communities to end harmful traditional practices and protect children, while respecting local culture, heritage and environment. We are conscious to minimise the impact of our operations on the environment and employ a reduce, reuse and recycle approach. AfriKids is a strong example of real development working on the ground for the people who need it the most. As patron, I have been lucky enough to watch this exceptional organisation develop and feel that it is now at a point where its story and methodologies should be shared. An ethos of learning and improving is ingrained in everything we do, from supporting training for all of out staff to continuously developing our Monitoring, Evaluation and Learning tools to measure our impact and inform our strategy. We welcome feedback from all of our stakeholders so please never hesitate to get in touch.